Located in Johannesburg’s most iconic shopping institution, the Oriental Plaza, Abrams Stores is a family owned and managed business, specialising in high-end, exclusive branded wear for men and boys. Established in 1975, the Abrams business philosophy is simple, and has been the driving force behind our success – we value quality, exclusivity and customer service above all else. By always providing our diverse clientele with exclusive yet affordable, high-fashion men and boys branded clothing, based on all the latest trends and offerings, we have built up a reputation that we can be proud of.Whether you are on the lookout for that special outfit to mark a significant occasion, or simply covet the latest trendiest casual wear, Abrams has it all. From branded jeans, sneakers and Paolo Verri shirts to contemporary suits, cufflinks and bowties, you are guaranteed to find it all in our store, at the most affordable, discounted prices. We carry leading brands in men’s and boy’s formal and casual apparel such as Levis, Converse, Soviet, Fila, Icemen, John Black and Marco Bennetti, Viavai, Dickies, Cassoli, Nike, Aero, Paolo Verri, Jockey and many more. We have an extensive range of accessories such as underwear, ties and cufflinks. Our very own in-house Abrams range of suiting and accessories is of the highest quality, and tailor made to suit every size, occasion and pocket, and includes everything from waistcoats to cummerbunds in a wide assortment of fabric and colours. In an effort to ensure exclusivity and quality, we are on a continuous search for the latest styles and colour trends in order to cater to the needs and tastes of all our customers. For many foreign and local tourists, a visit to Johannesburg is not complete without a visit to the Oriental Plaza – the place to be if its quality products, great bargains and even better food you’re looking for. Similarly, a trip to the Oriental Plaza is certainly not complete without a visit to Abrams Stores, a landmark within a landmark. It was in 1944 that South Africa had seen its first Abrams store opened in Fietas, located in Johannesburg. The store served mixed communities and sold ladies wear, men’s wear and kids wear. At the time, Abrams was the pioneers of specialised clothing serving the greater communities due to their unique product offering. It was in 1975, that Abrams moved to the Oriental Plaza, in Fordsburg, Johannesburg – where they are still located today. Abrams have since separated their product offering into two stores. The first store named Abrams stores and the second store named Abrams Lingerie. By always providing our diverse clientele with exclusive yet affordable, high-fashion men and boy’s formal branded clothing, based on all the latest trends and offerings, we have built up a reputation that we can be proud of. Whether you are on the lookout for that special outfit to mark a significant occasion, or simply covet the latest trendiest formal wear, Abrams has it all. From branded suits and Paolo Verri shirts to contemporary suits, cufflinks and bowties, you are guaranteed to find it all in our store, at the most affordable, discounted prices for men and boys. We carry leading brands in men’s and boy’s formal and casual apparel such as Italian Bagozza, Danteroma, Turkish Istan-Blue, John Black and Marco Bennetti, Zerga Turkish suits, Aero Shirts, Lorenzini shirts, Jockey, Roberto Marino genuine leather and many more. We have an extensive range of accessories such as underwear, ties and cufflinks. Our very own in-house Abrams range of suiting and accessories is of the highest quality, and tailor made to suit every size, and includes everything from waistcoats to trousers in a wide assortment of fabric and colours. In an effort to ensure exclusivity and quality, we are on a continuous search for the latest styles and colour trends in order to cater to the needs and tastes of all our customers. Abrams Stores makes use of both traditional and digital marketing and has been strategically orchestrating it’s marketing strategies in local print media and online marketing, including; Facebook, Instagram, Google Ad Words, as well as, Online Shopping. Samples of some of our marketing found on page 10 in this document). 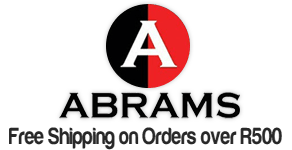 Abrams Stores has a noticeable brand identity, with our stores designed ergonomically to provide a comfortable, approachable and enjoyable customer experience. Both of our stores are custom designed and fitted. The style is modern, clean and spacious, creating a comfortable and inviting environment for customers.